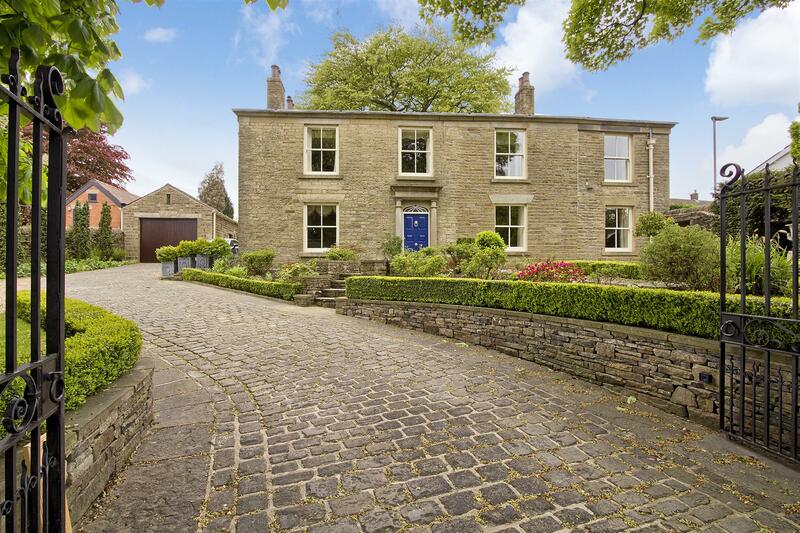 As you drive up the private country lane on your approach to Hill Top, the tempo of life starts to slow down. 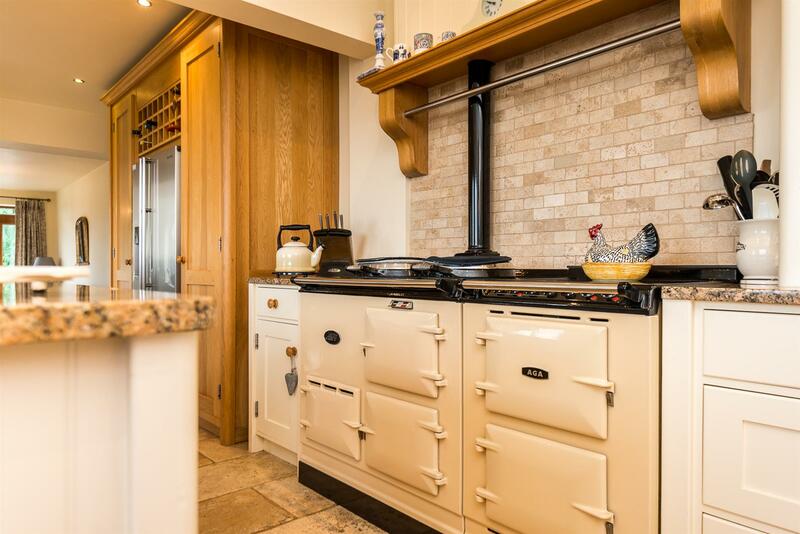 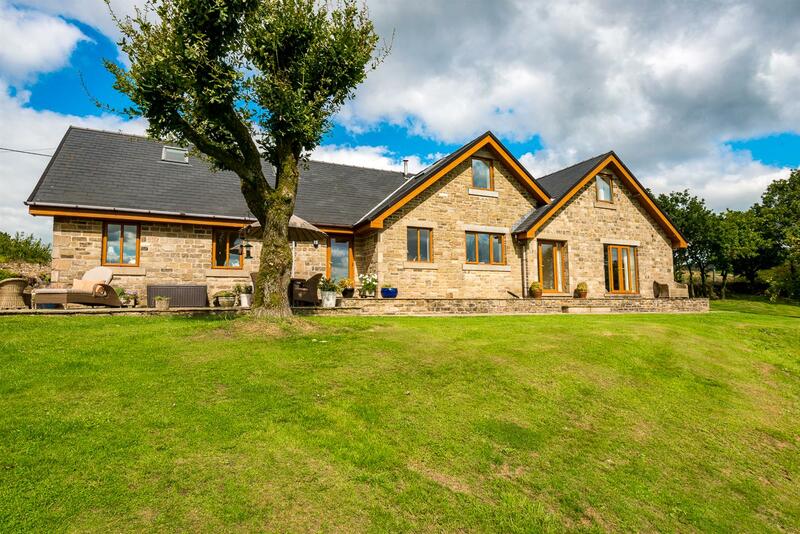 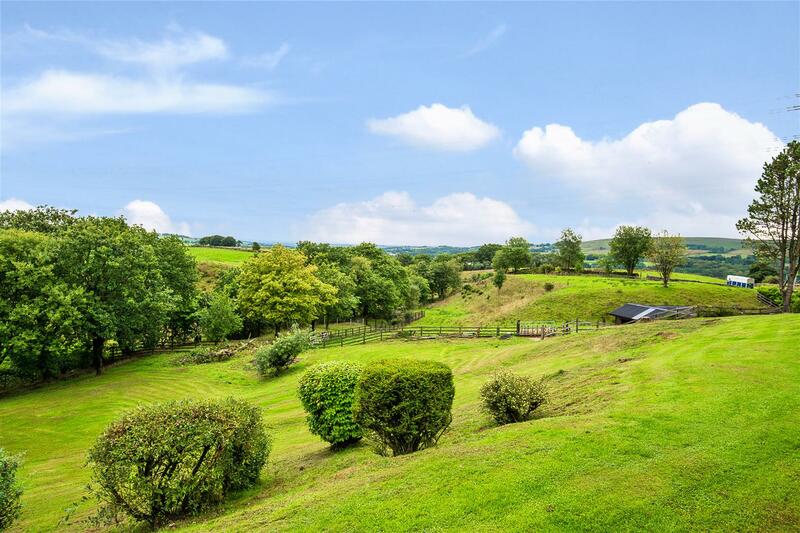 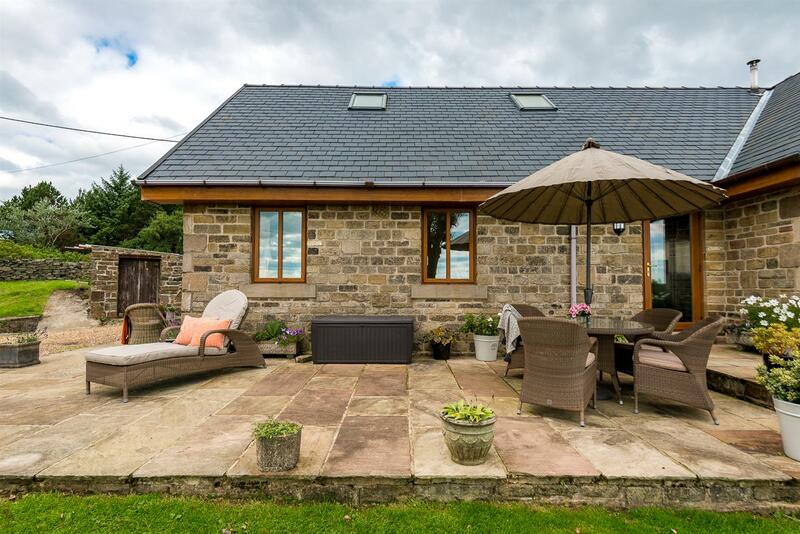 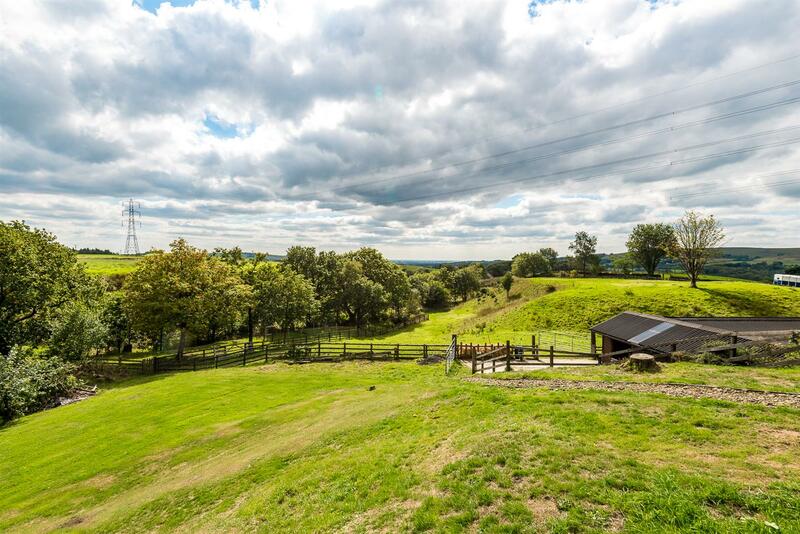 Passing just three other properties on the lane, you instantly absorb the view and Hill Top with its green pastures and rural tranquillity awaits you. 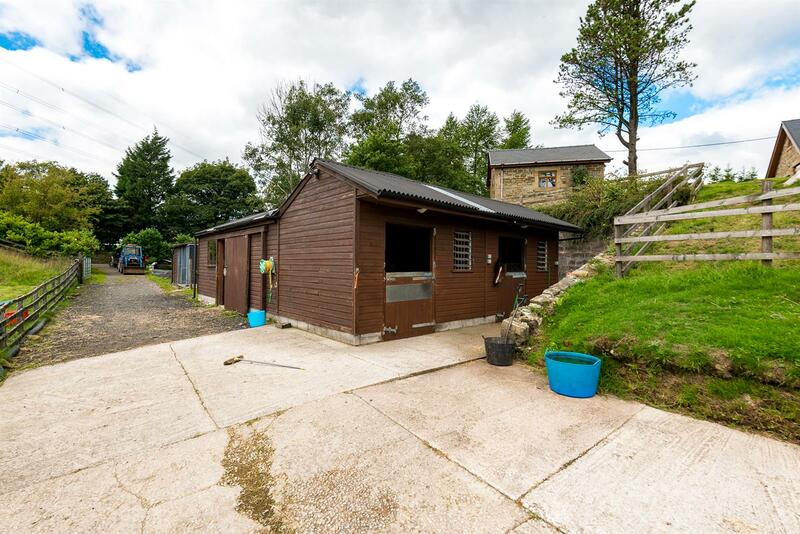 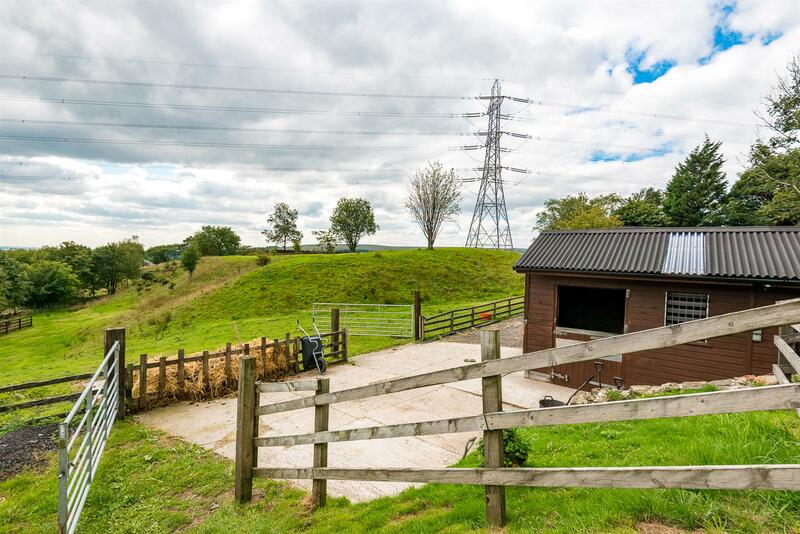 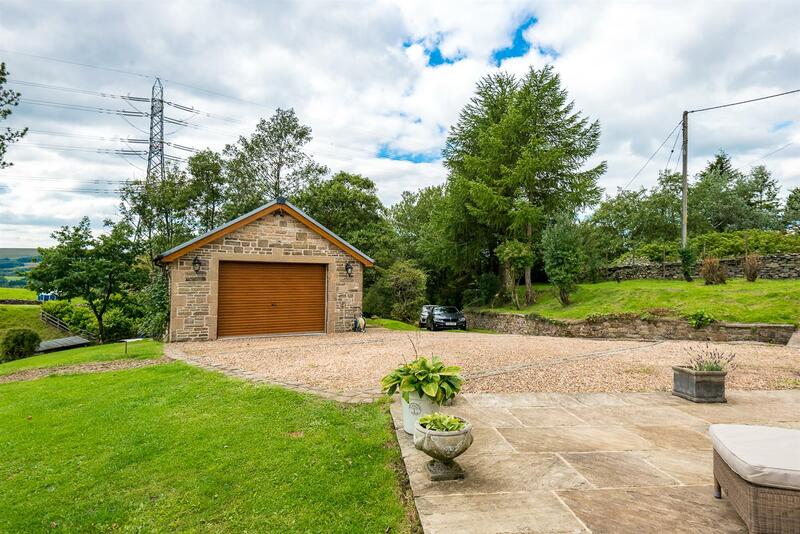 The gravel driveway presents parking outside the house for the whole family or you have the option to park in the garage if you prefer and if you're bringing the horse box or trailer in you have a separate drive to the stables on the lower level. 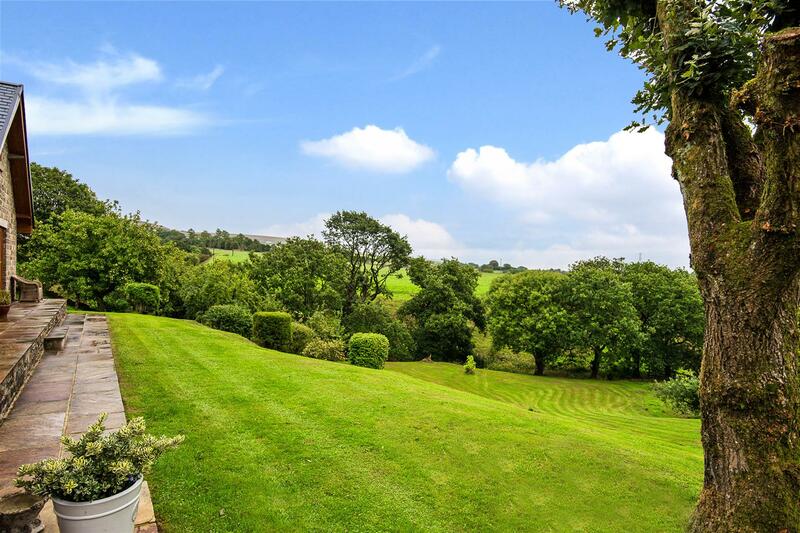 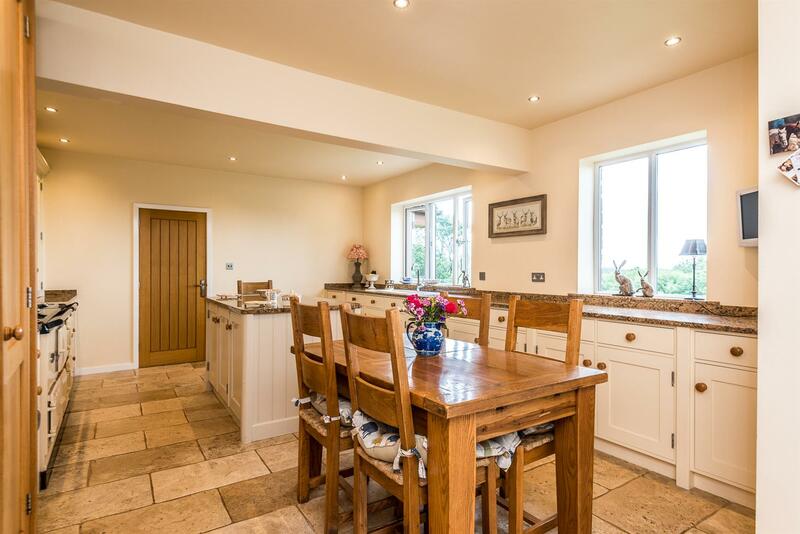 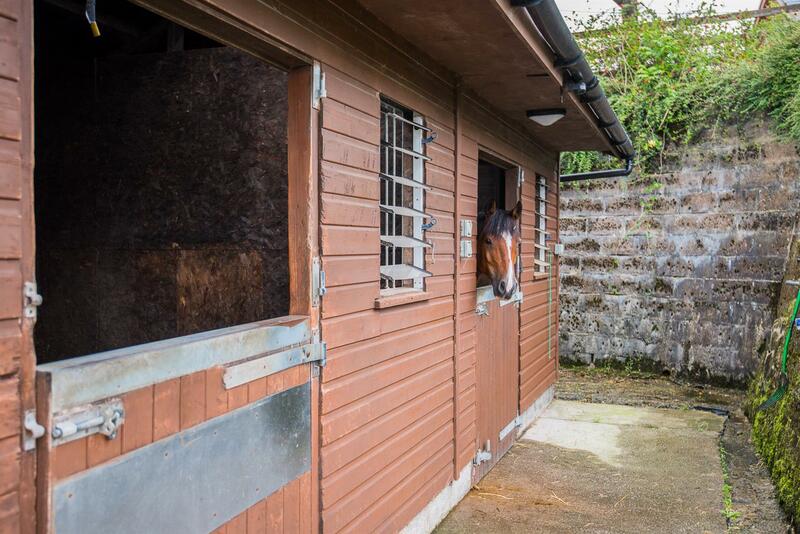 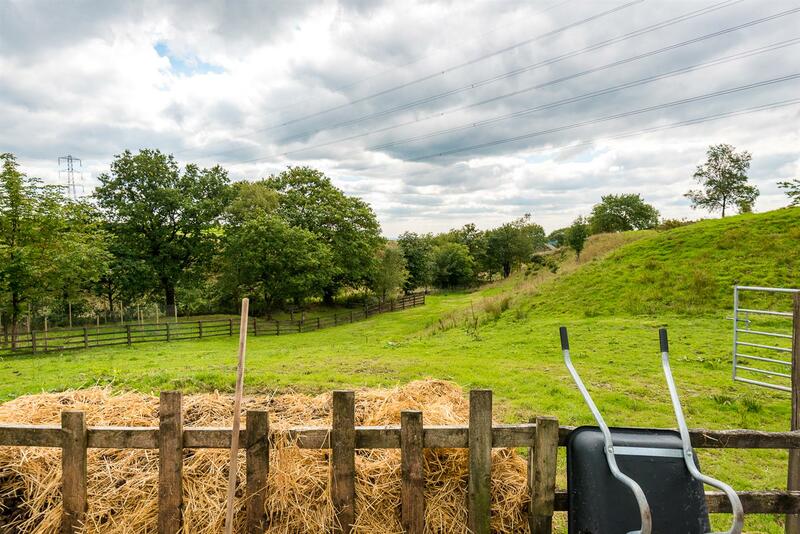 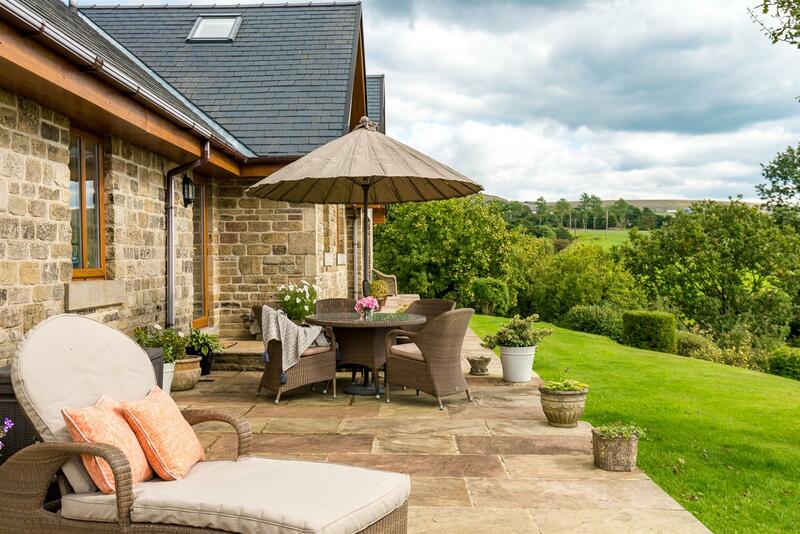 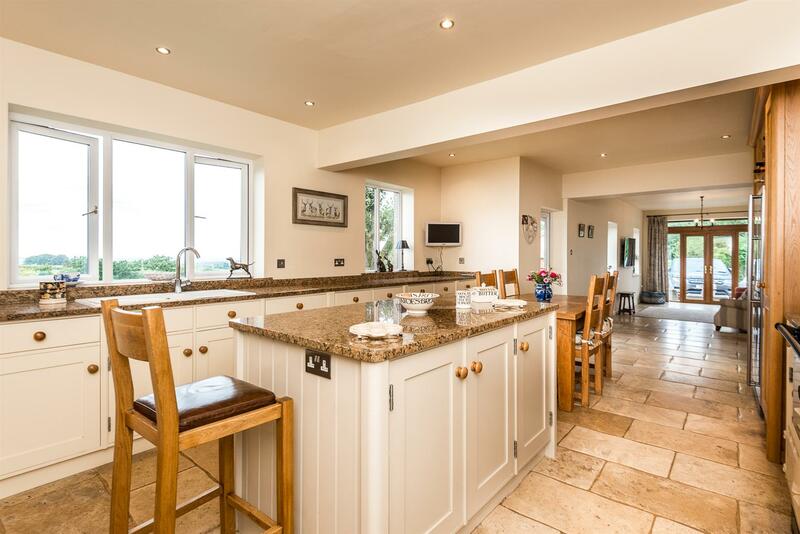 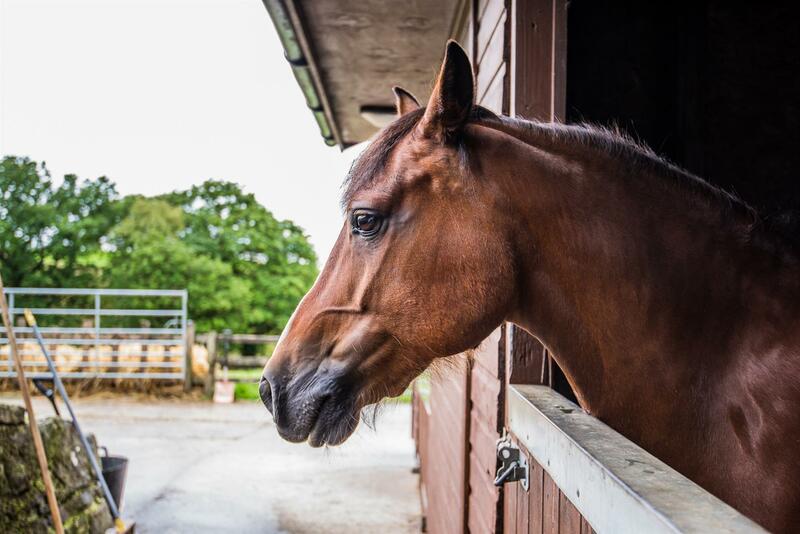 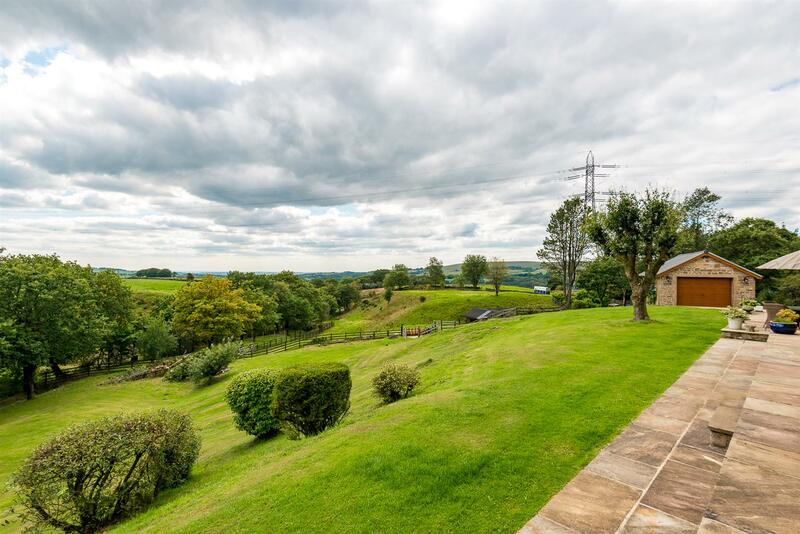 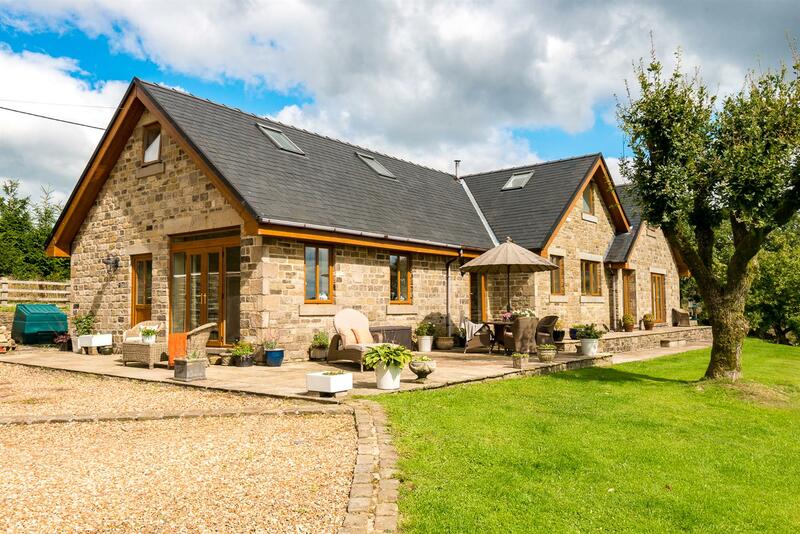 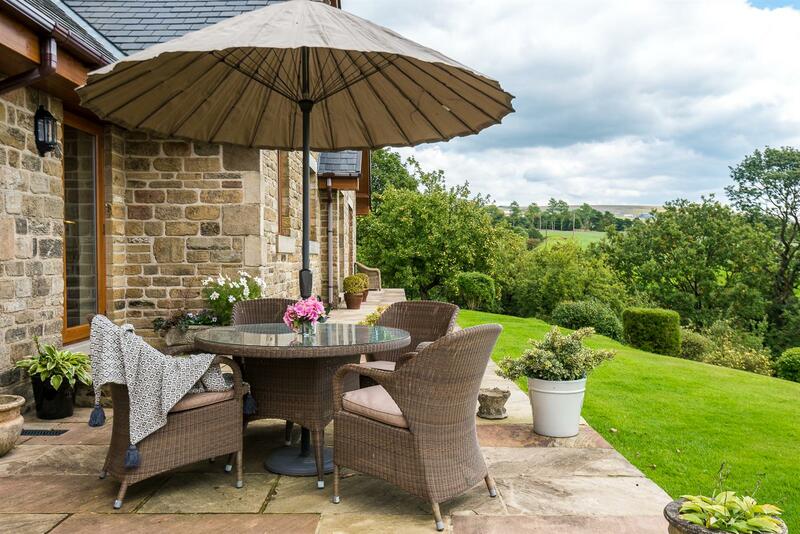 The gardens here blur the boundaries to the rolling countryside, you have patio areas to relax and enjoy the view, lawns for the little ones to run around and at the bottom of the garden you have the stables and a further paddock, approximately two acres in total. 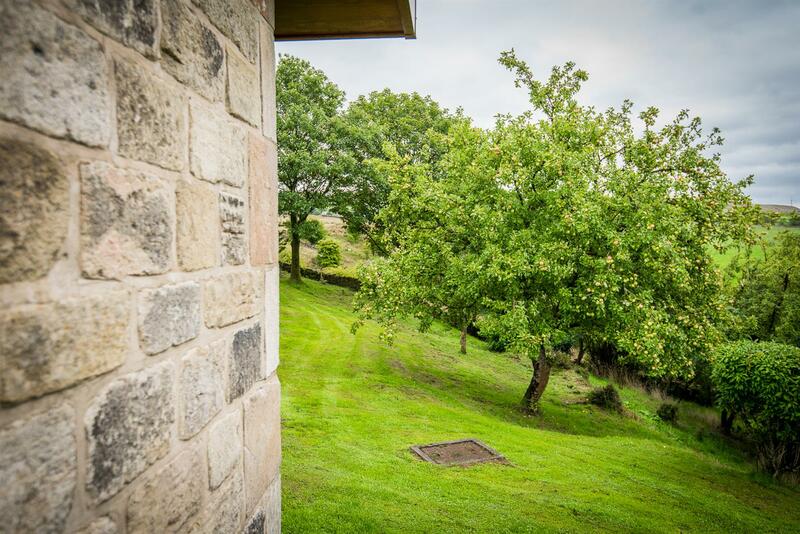 Behind the stone facade, the sense of peace and tranquility continues. 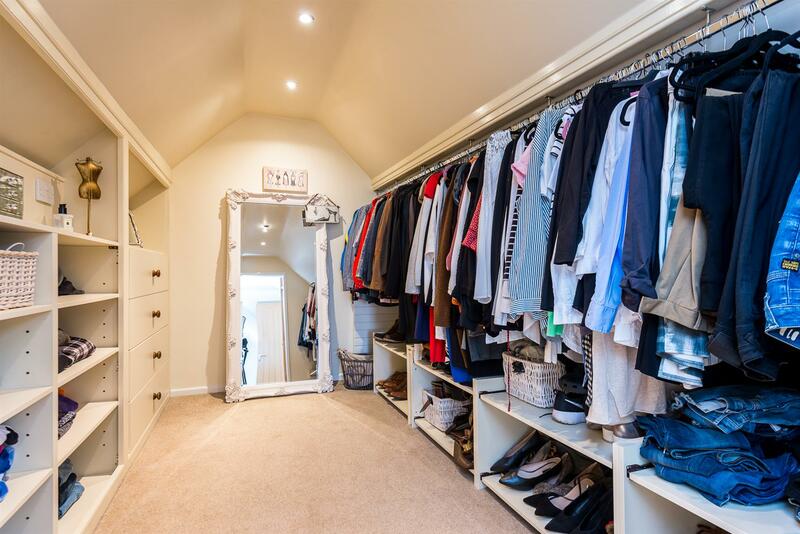 You have a choice of doors to enter so you may choose to bring your shopping straight into the kitchen or it may be easier through the utility room if you are coming in with muddy dogs and wellies! 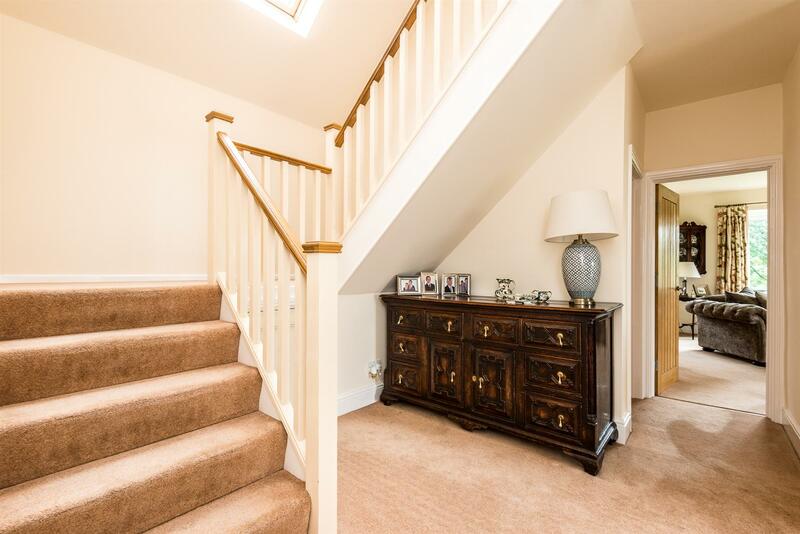 Whichever entrance you choose the flooring is practical and hard wearing. 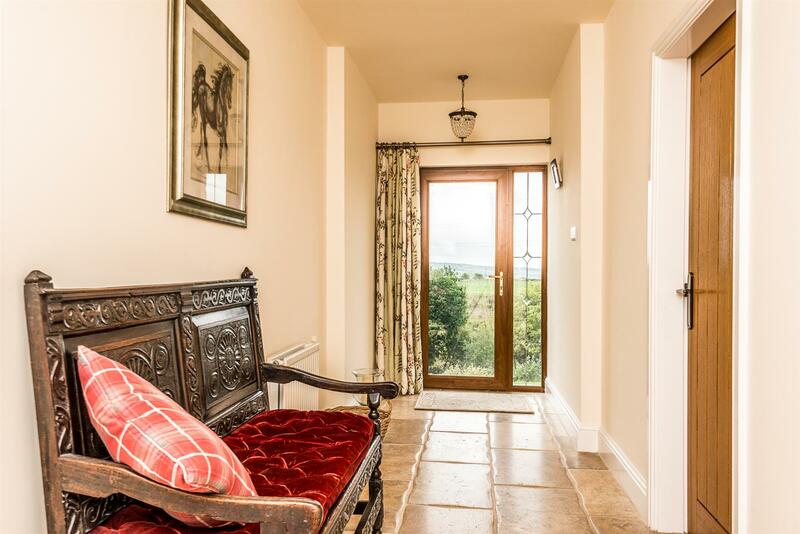 Once inside you will instantly see that the interior is beautifully presented with the accommodation designed to take advantage of the views that surround it. 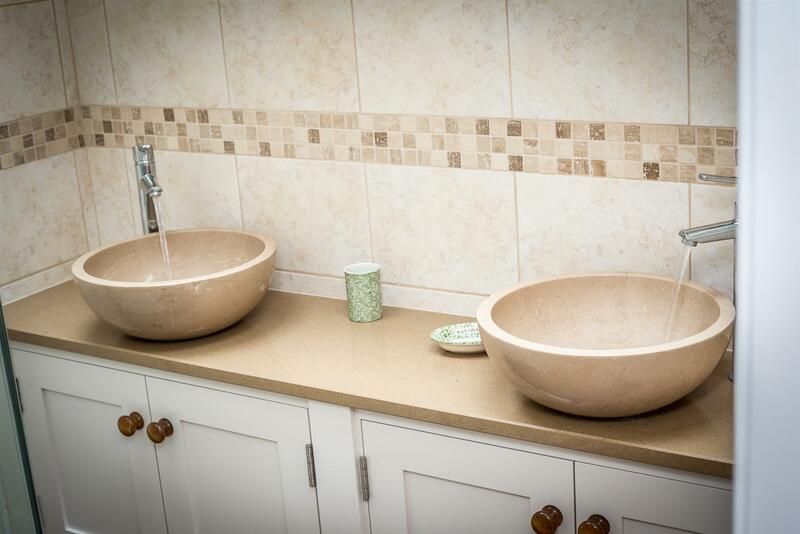 The soft cream colour pallette used throughout Hill Top is paired with natural oak to create a classic country style and a sense of continuity and flow. 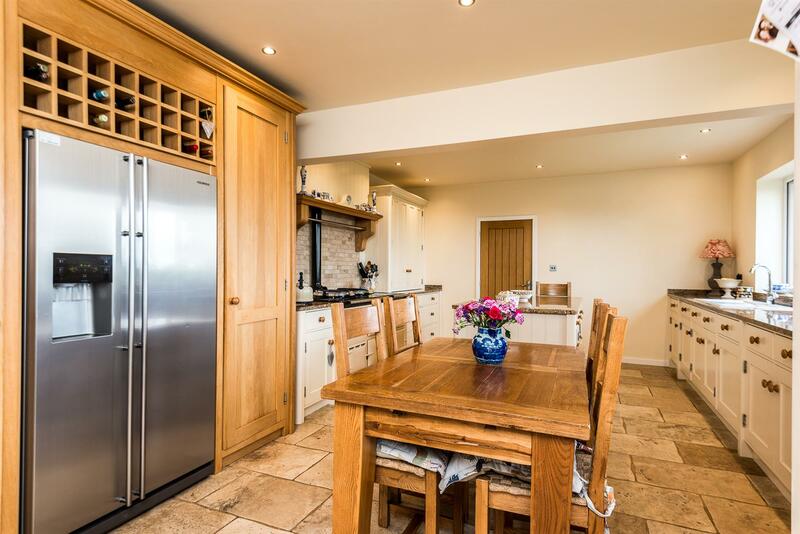 Lets start in the kitchen... such a welcoming space and undoubtedly the hub of the home with the warmth from the Aga, (not to mention the smell of freshly baked cakes) the beautiful cream cabinetry with tall larder cabinets giving you superb storage, wine racks, solid granite surfaces, ceramic sink and dishwasher...the quality is exceptional! 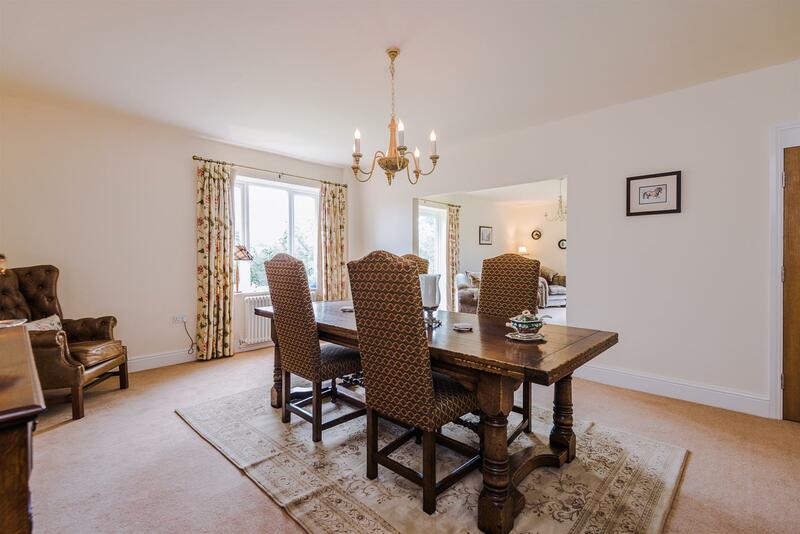 With lots of space for informal dining and room to sit and chat, you can see why this room is the busiest in the house. 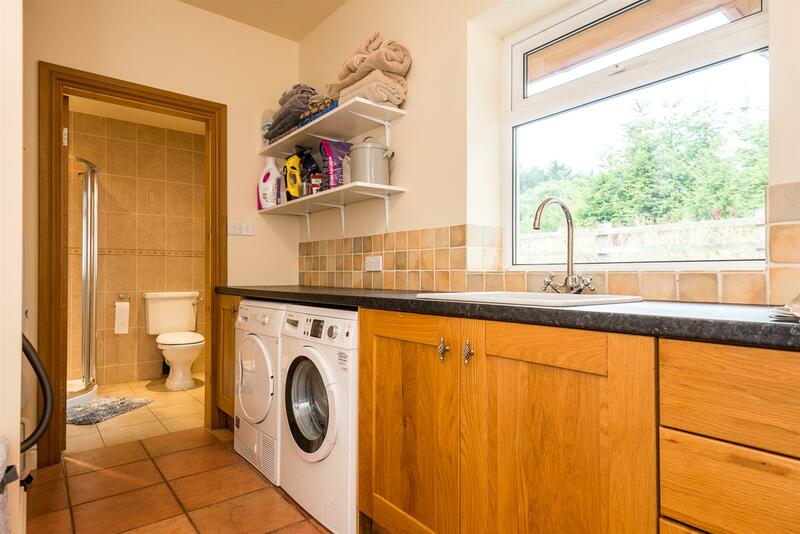 Just off the kitchen you have the boot room, the utility room and you have a separate shower room here too, all very practical for any family especially with all the outdoor space on your doorstep to explore. 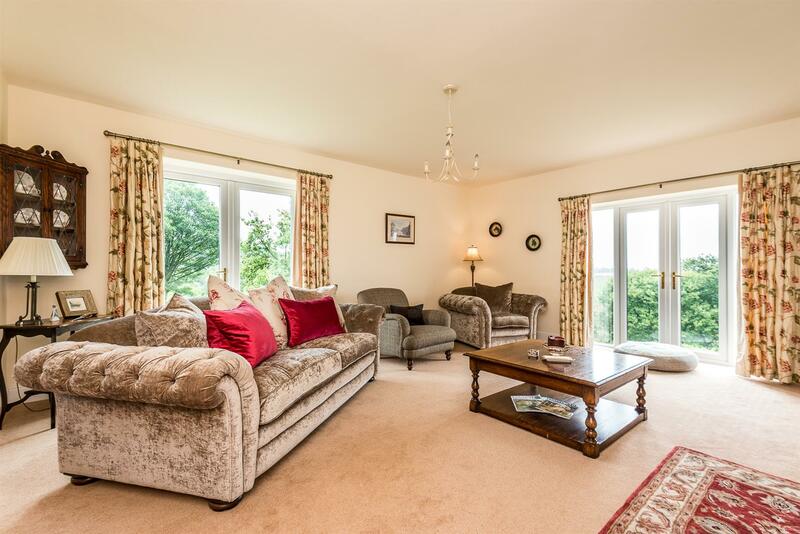 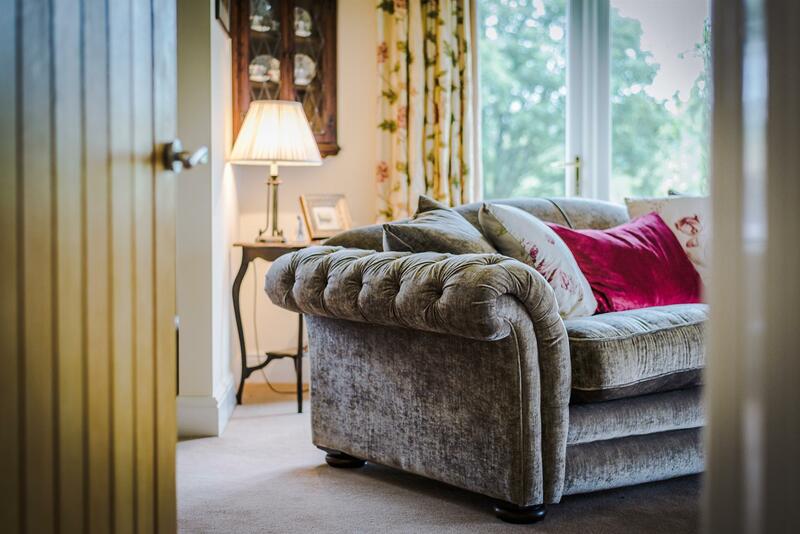 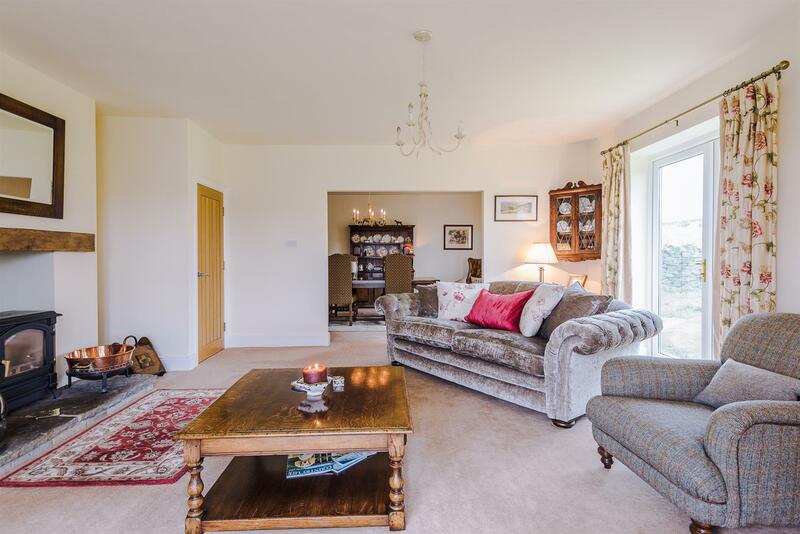 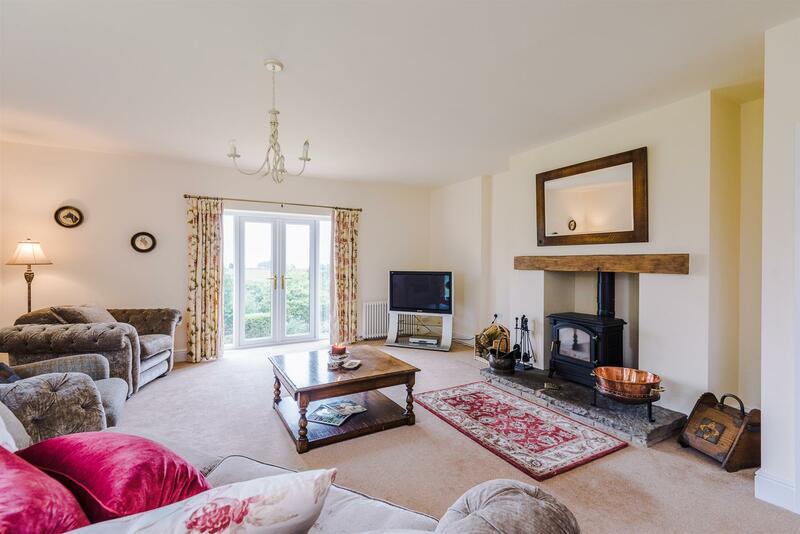 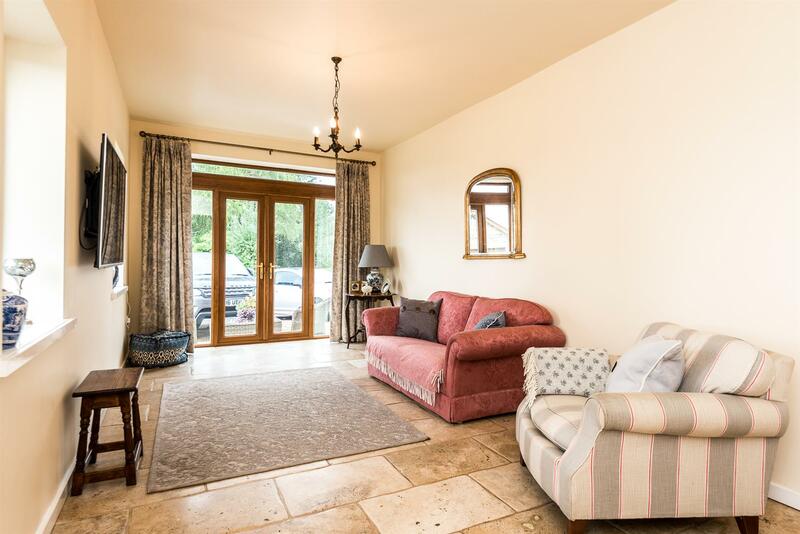 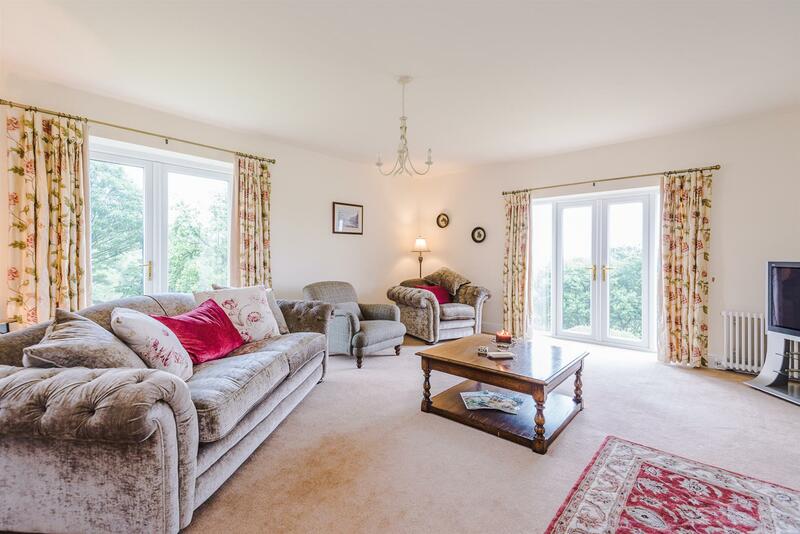 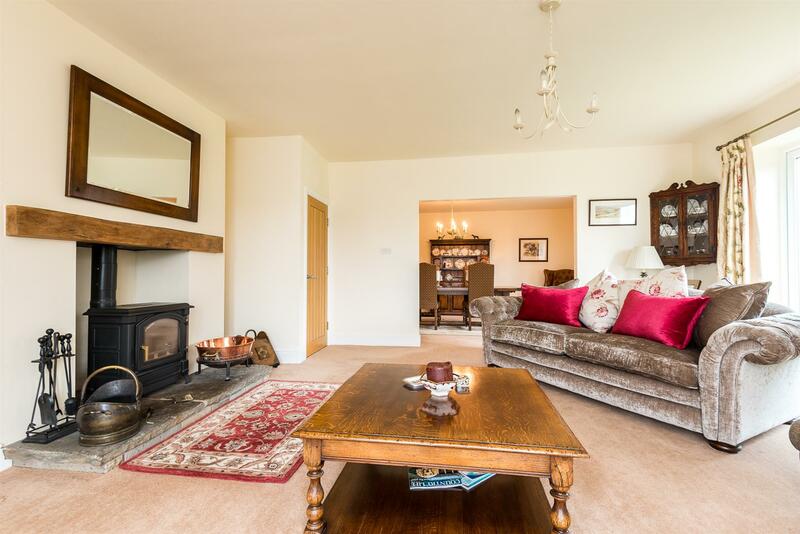 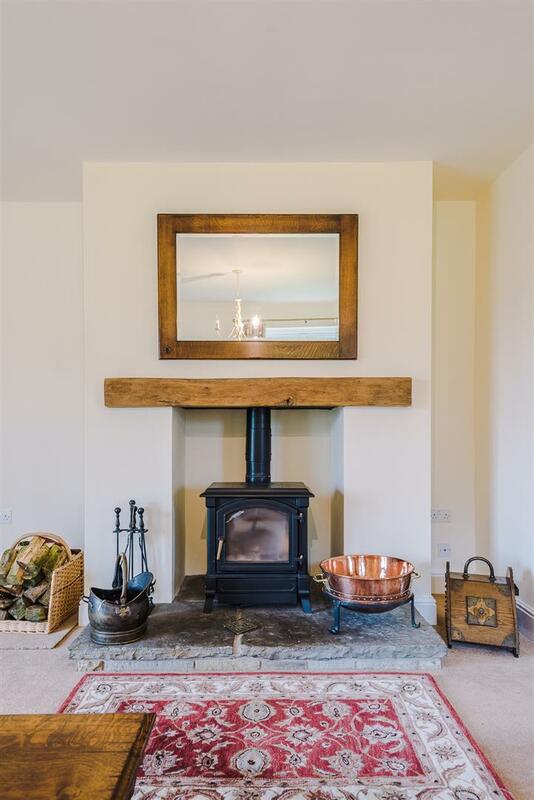 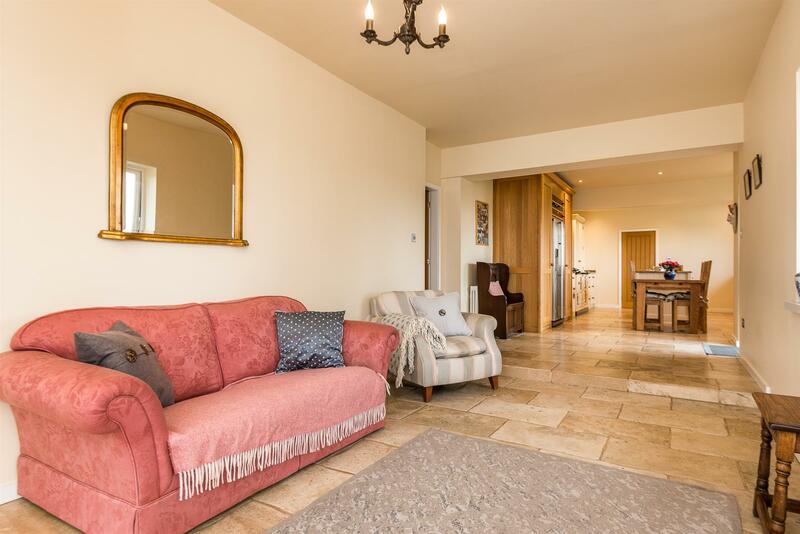 Continue out of the kitchen and through the hallway into the lounge, this is a stunning room where you can relax and admire the views without leaving the warmth of the log burner and the comfort of your sofa. 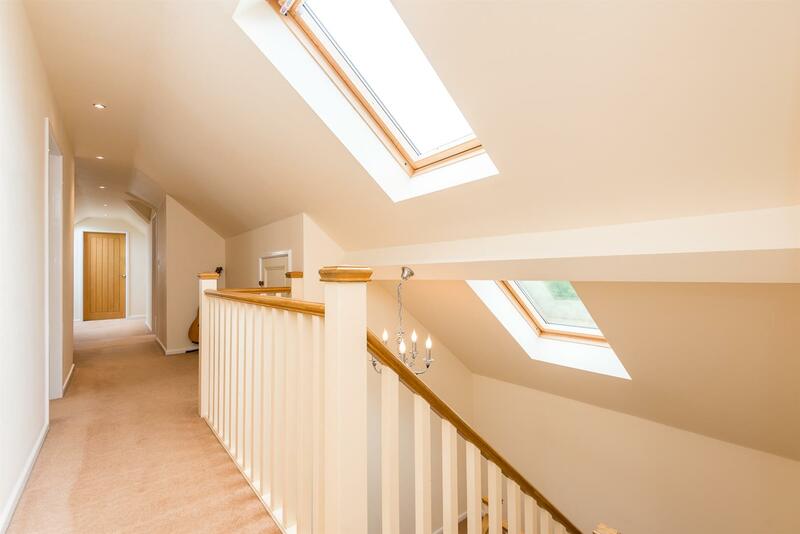 With windows to two sides the room is bathed in natural light. 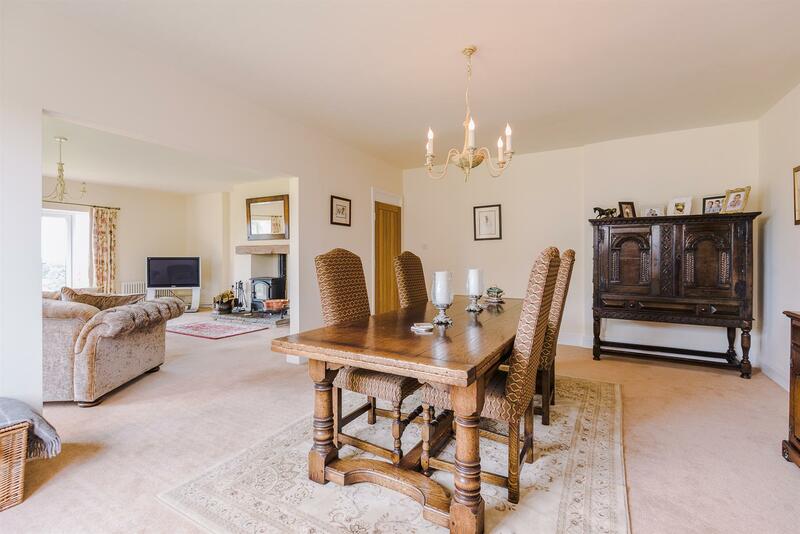 The lounge connects easily through to the dining room making this perfect for entertaining and there is access from here back to the hallway. 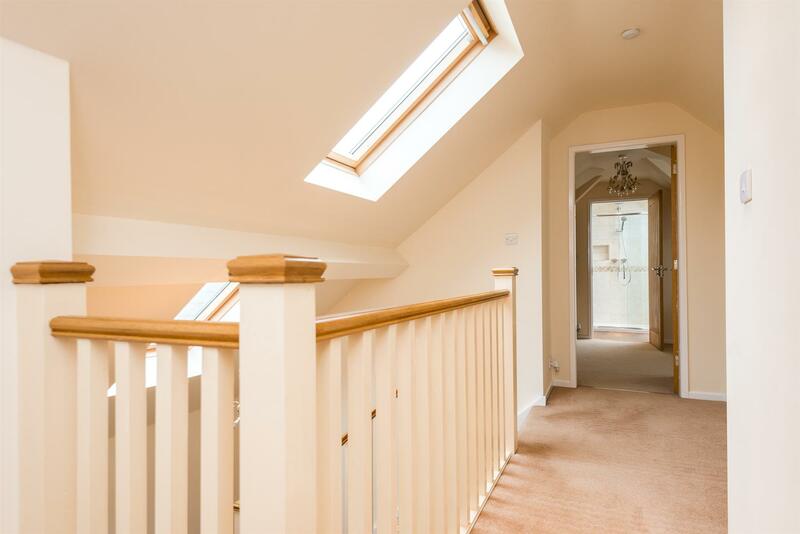 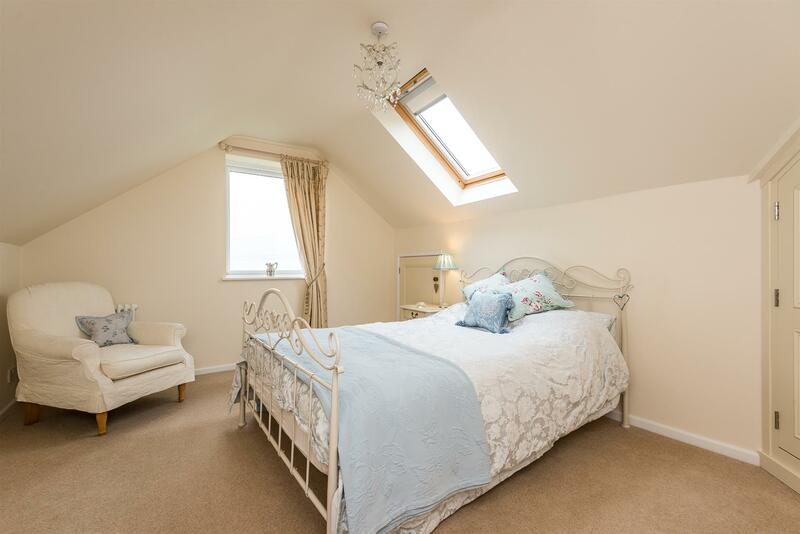 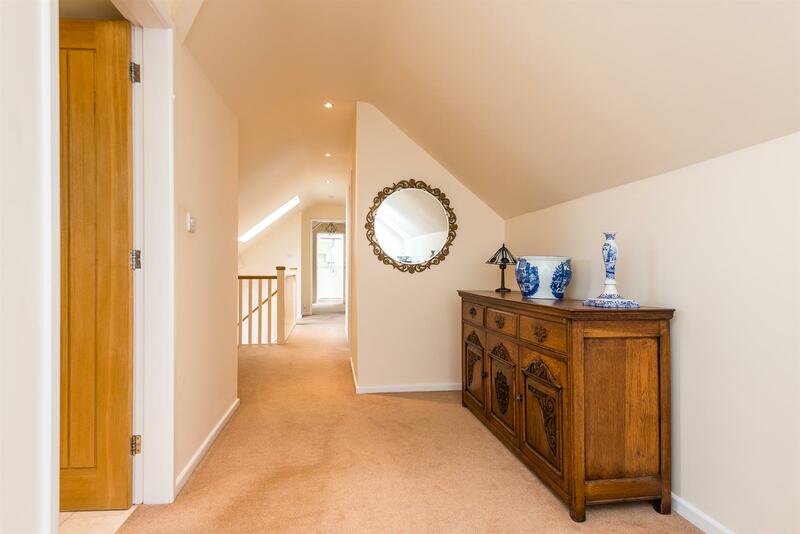 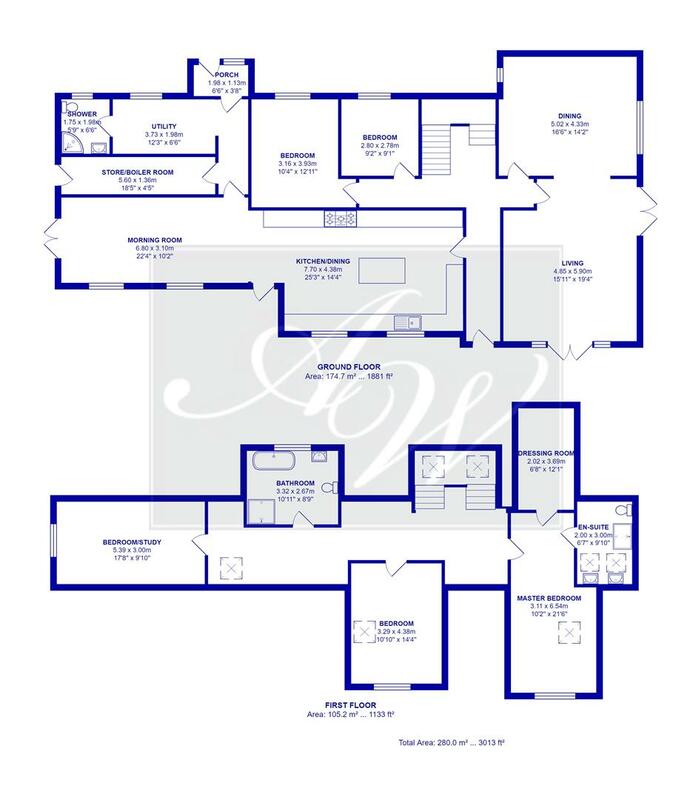 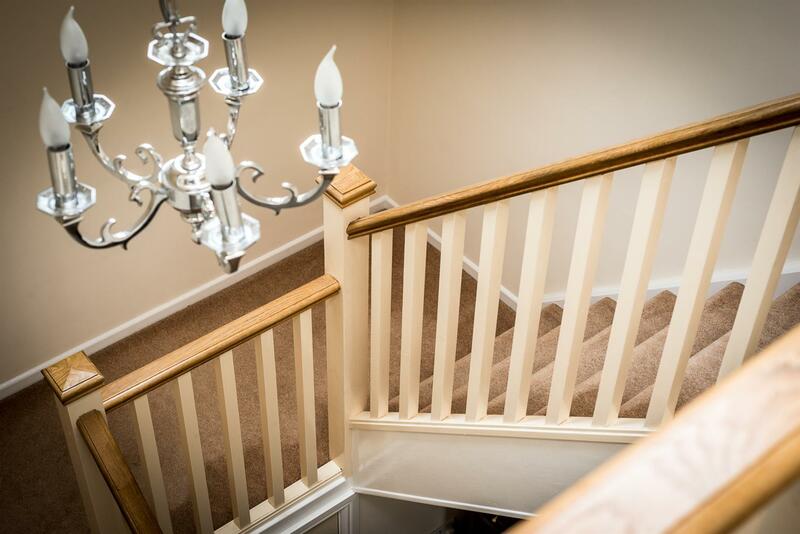 There are two ground floor bedrooms just along the inner hallway and upstairs there are three more to choose from. 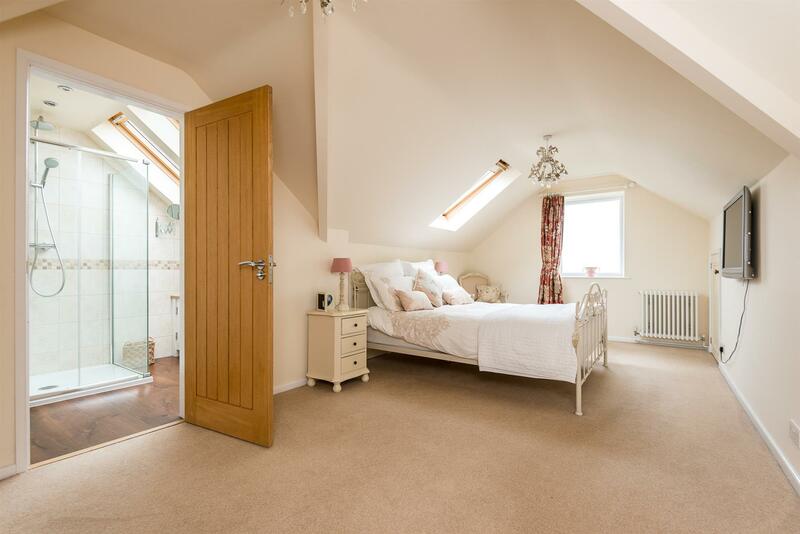 The master bedroom is elegantly furnished and has the luxury of a wonderful big walk in wardrobe and a large shower room. 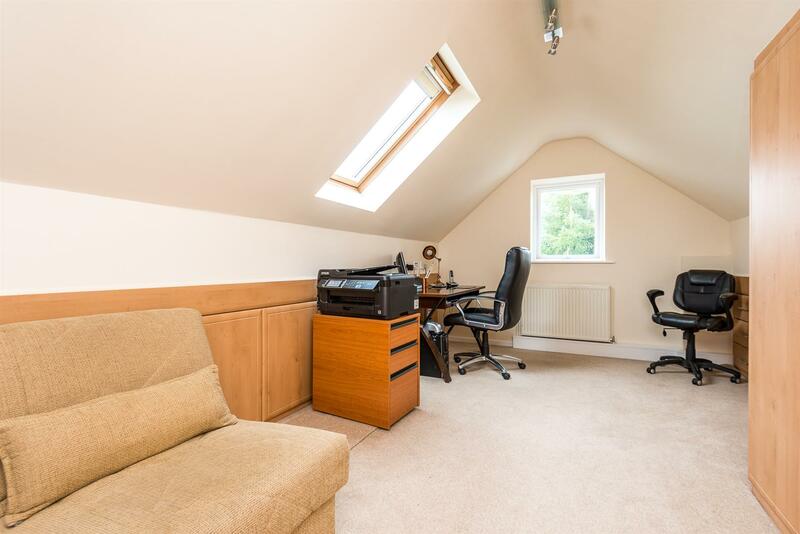 The third bedroom at the end of the landing is currently fitted with study furniture which could easily be removed making this another double. 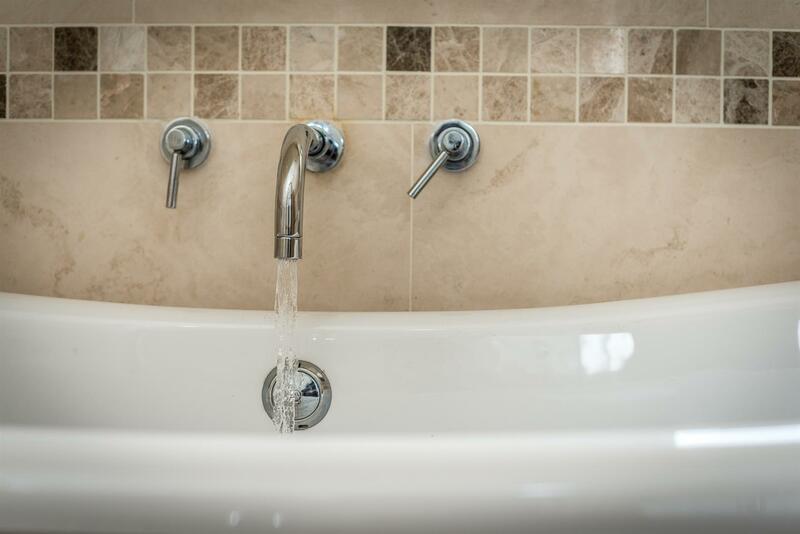 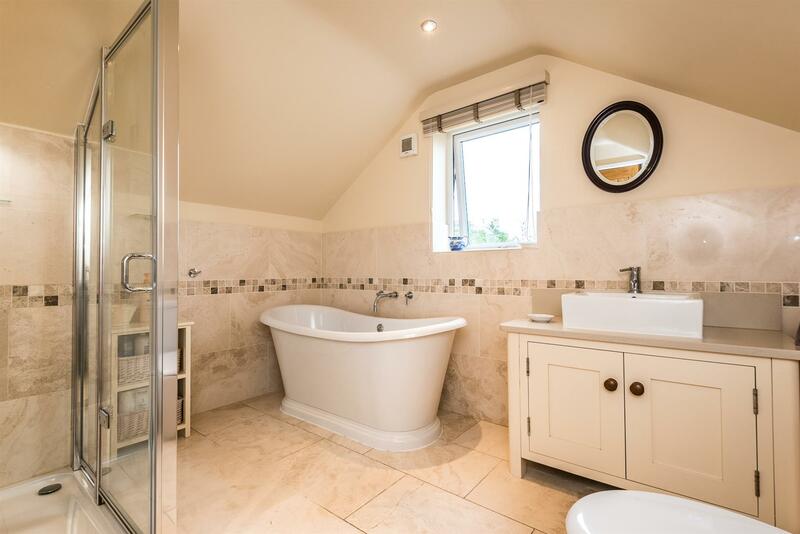 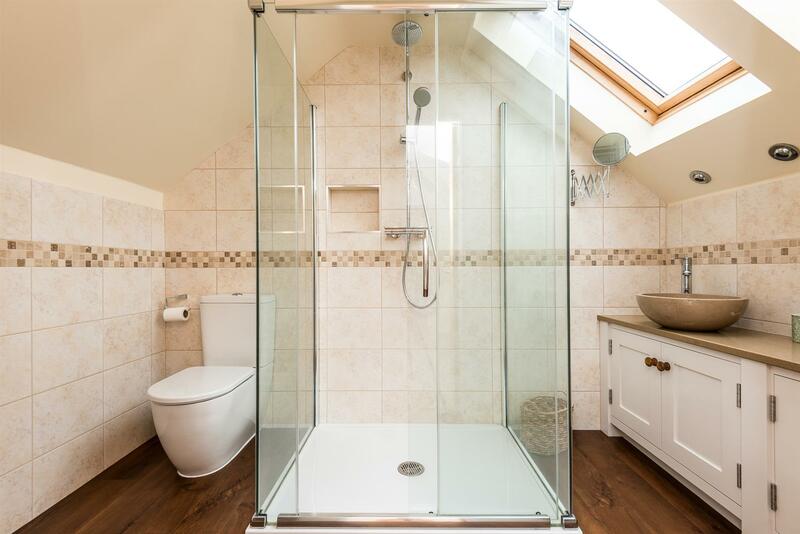 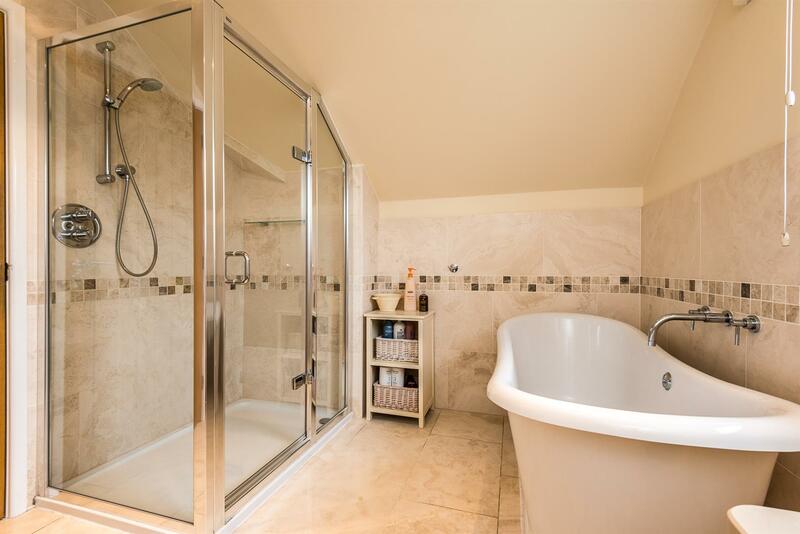 The bathroom on this level is the ultimate sanctuary giving you the choice of a shower or the free standing tub to help you unwind after a long day. 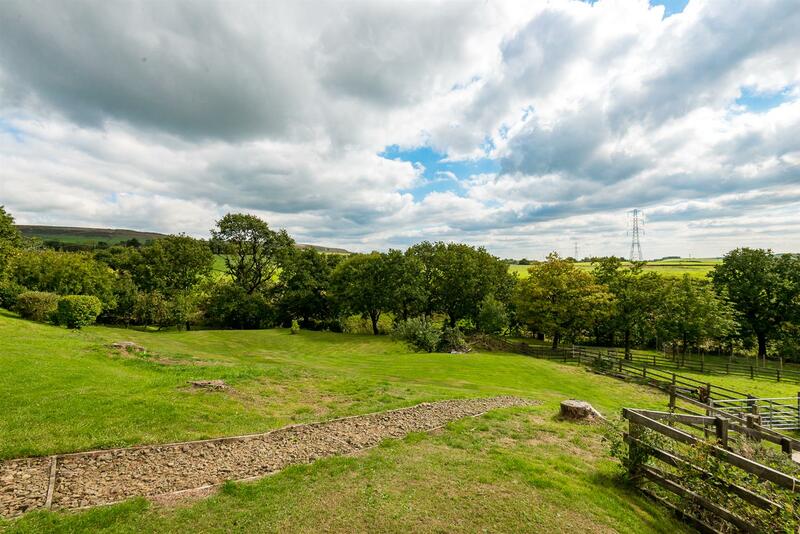 We love the peace and quiet at Hill Top, you are certainly away from it all yet within minutes you have the buzz of village life. 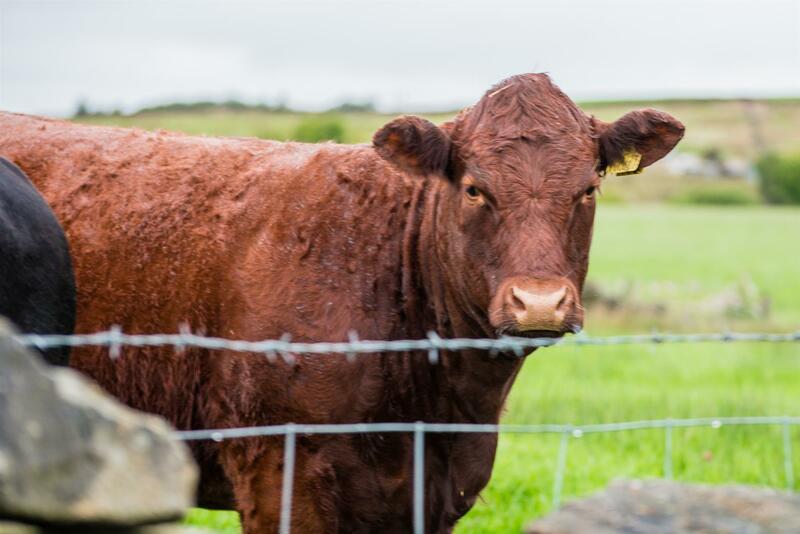 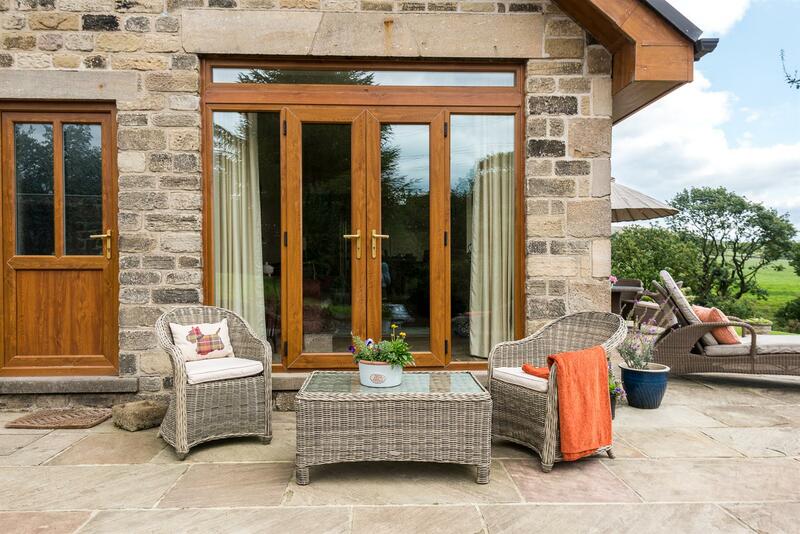 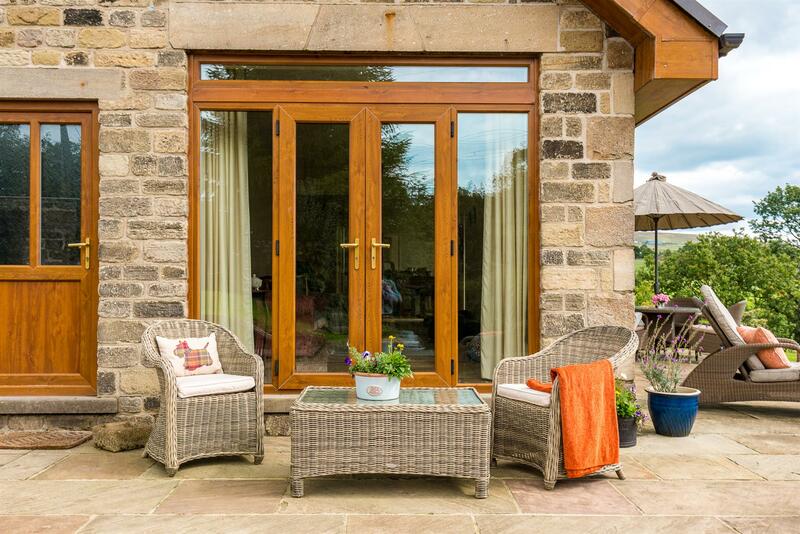 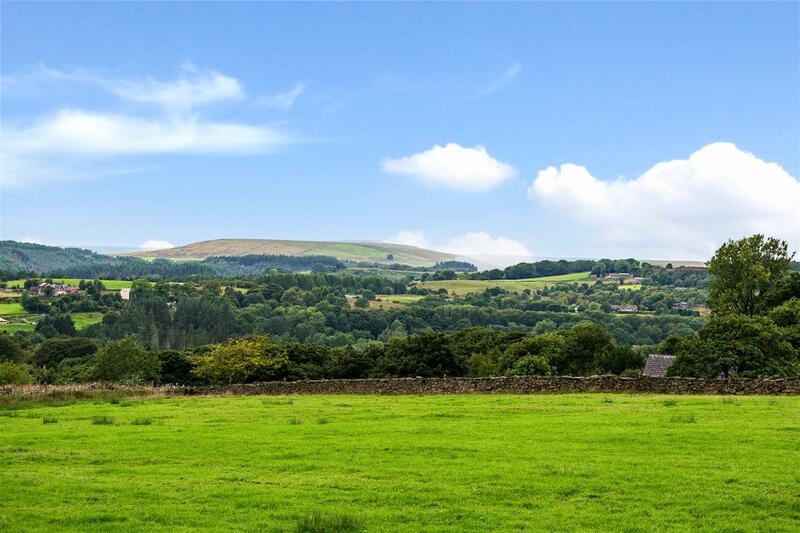 Edgworth is a highly regarded and much sought after village with its own local shops and daily amenities all surrounded by exceptional countryside making it a perfect choice for those wanting to get away from it all yet be within a short drive, bus or train journey to neighbouring towns. 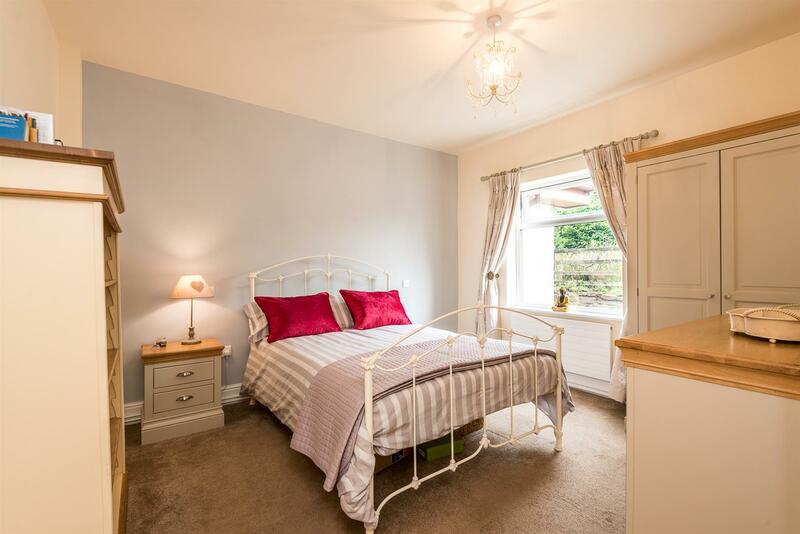 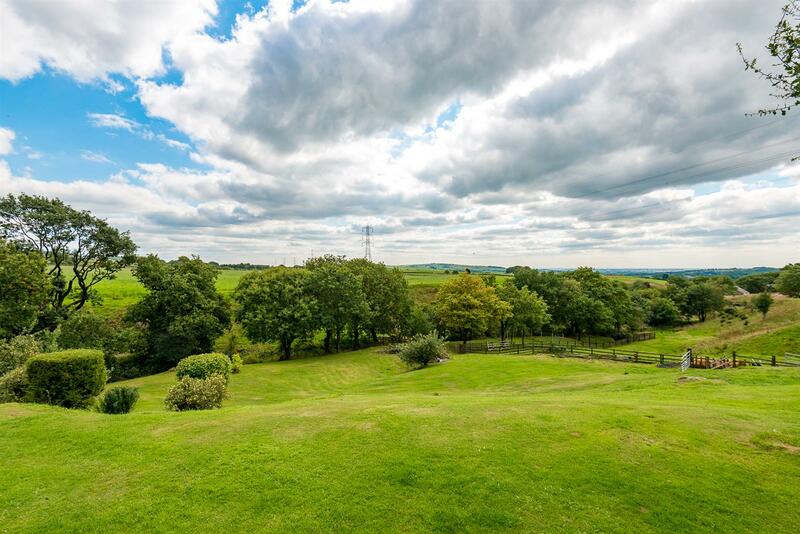 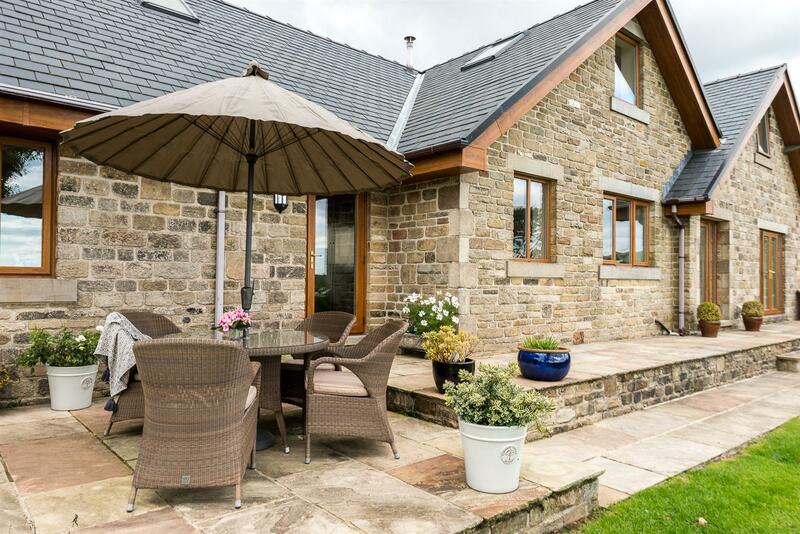 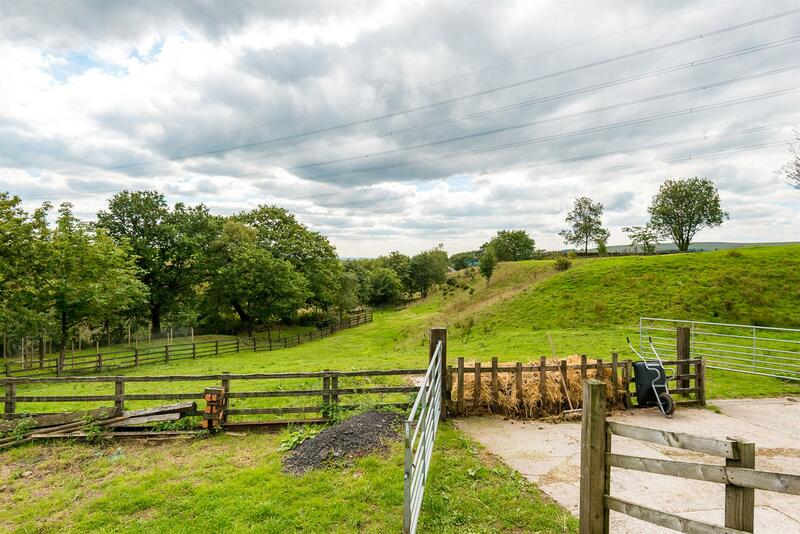 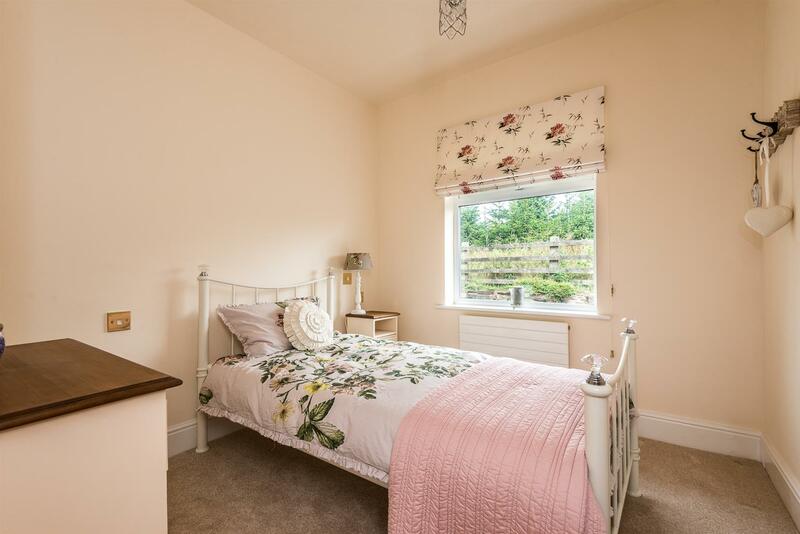 This is the perfect choice for those who want the countryside on their doorstep but within walking distance of the village centre, Edgworth Primary School, local shops, pubs and Entwistle train station. 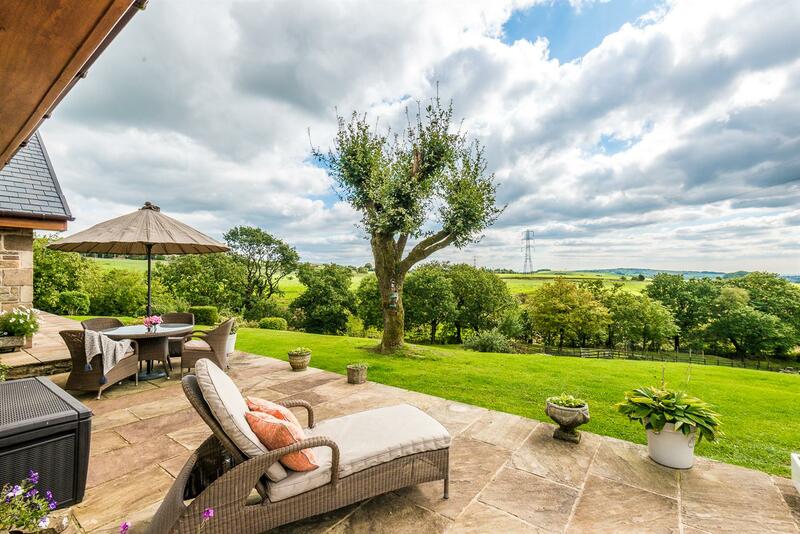 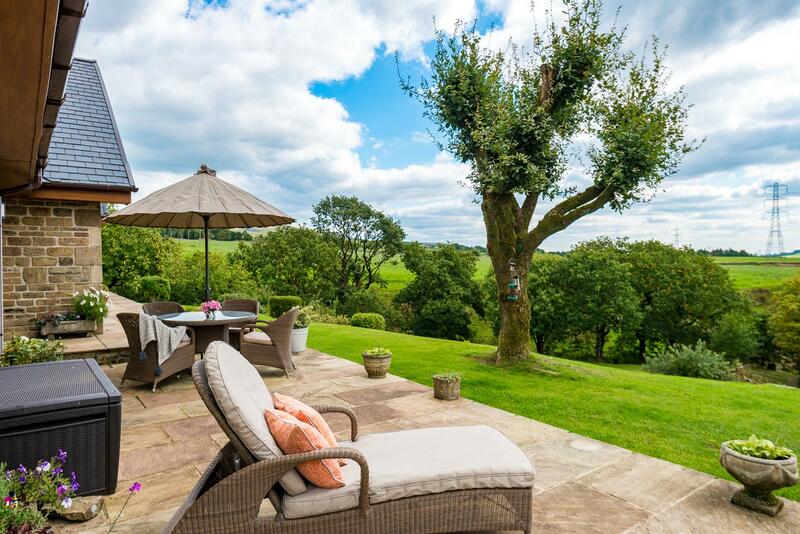 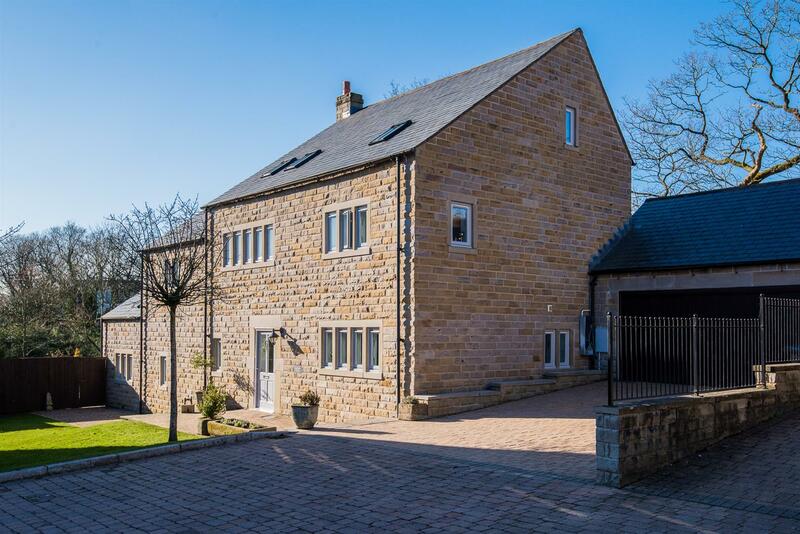 This truly is a fabulous setting, you have neighbours yet you have privacy, you are on the outskirts of the village yet you are a stones throw away this really is the best of both worlds.